Teteron Boys end 11-year drought with football title. Defence Force ended an 11-year drought by claiming their first Digicel Pro League Championship title and 21st in team history after secuirng the needed point in an entertaining 0-0 draw with San Juan Jabloteh on Friday night. This was in the feature match of a Super Friday double header at the Hasely Crawford Stadium, Mucurapo. But even before the match kicked off it seemed Jabloteh had surrendered the crown as they honoured the Ross Russell-coached Teteron Boys with a guard of honour to enter the field. The encounter saw very little goalmouth action with Jabloteh lacking some creativity in midfield due to absence of suspended Ataullah Guerra, while Defence Force was also without suspended duo of Kerry Joseph and Richard Roy. Two minutes into the contest though Jabloteh goalkeeper Cleon John had to pull off an acrobatic one handed save to his right keep out Jerwyn Balthazar’s volley in what was the best effort of the first half while a minute before the interval, national Under-20 striker Jerrel Britto flashed a powerful shot across the face of the Defence Force goalmouth and goalkeeper Kevin Graham. Jabloteh captain Marvin Oliver also tested Graham in the 59th minute however he was equal to the task and pulled off a brilliant reflex save to keep a clean sheet. 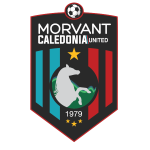 However, in the end both teams failed to break the deadlock as Defence Force gained the needed point to push its tally to an unassailable 38 points with a match left to play while Caledonia, 2-1 winners over W Connection in the first match is second with 33 points. It was the first time since 1999 that the soldiers won a League title to add to its previous national titles of 1972-78, 1980, 1981, 1984, 1985, 1987, 1989, 1990, 1992, 1993, 1995, 1996, 1997. Asked to decsribe the difference in winning the title as a player in 1999 and now as a coach 11 years later Rusell said they are both proud moments. With two tournaments left to complete the season, the Digicel Pro Bowl and the Toyota Classic, Rusell said his team will be hoping to build on their league triumph by capturing at least one more title. 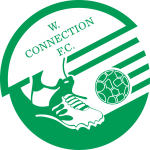 “We are league champions now so as a coach I expect the confidence level of the players to be on a high but at the same time its my job and the coaching staff to make sure we don’t get complacent. 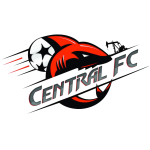 Looking ahead of the Caribbean Football Union Club Championship and the Concacacf Champions League which his club won in 1986, Rusell said a lot of work has to be done. “We will be going back to the drawing board and look at the things we need to improve on to be competitive at that level. 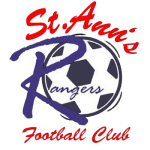 Last night, last year’s league winner, Joe Public came up against Police in the first match at Ato Boldon Stadium, Couva from while South End and St Ann’s Rangers met in the other match. In the other match, DirecTV North East Stars came up against Ma Pau. 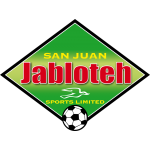 San Juan Jabloteh—Cleon John, Marvin Oliver (capt.) (Kennedy Hinkson 65th), Anton Hutchinson, Jamal Jack, Sheldon Bateau, Christan Thomas, Mekeil Awai, Jason Marcano (Johan Peltier 70th), Elijah Manners, Jerrel Britto, Hector Sam (Willis Plaza 75th). 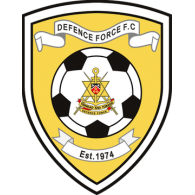 Defence Force—Kevin Graham, Corey Rivers (capt.) (Yellow), Rondell Elcock, Keston Williams (Rawle Fletcher 65th), Aklie Edwards, Sean Narcis, Dexter Pacheco (Yellow), Jerwyn Balthazar (Balondemu Julius 64th), Ross Russell Jr., Jemel Seabro (Owen Matthews 83rd), Devon Jorsling. Caledonia AIA—Kevin Graham, Stephan David (capt. ), Nuru Aadullah Muhammad, Ryan Stewart, Kareem Joseph, Akim Armstrong (Travis Mulraine 87th), Keyon Edwards (Kerry Daniel 80th), Daneil Cyrus, Densill Theobald, Hayden Vincent (Conrad Smith 89th), Ishmael Daniel. W Connection—Miguel Lloyd, Elijah Joseph (capt. ), Kern Cupid, Clyde Leon (Keron Cummings 69th), Romauld Aguillera, Hashim Arcia (Shahdon Winchester 61st), Silvio Spann (Jarod Williams 61st), Hughtun Hector, Andrei Pacheco, Akeem Benjamin, Joevin Jones. 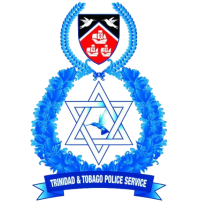 Police FC—Anthony Marshall, Noel Williams (capt), Todd Ryan, Sayid Freitas, Kaaron Foster, Atiba Peters, Kheon Archie, Neil Marcano, Andre Kevin Lynch (Devon Lammy 46th), Keron Clarke, Adrian Noel. 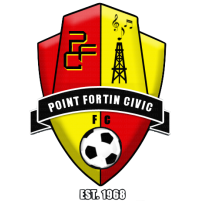 Joe Public—Marvin Phillip, Trent Noel (capt), Keion Goodridge (Yellow) (Nigel Daniel 40th) (Yellow), Jevon Morris, Kareem Moses, Aubrey David, Kareem Young, Andre Toussaint (Makan Hislop 81st), Hayden Tinto, Micah Lewis (Kenaz Williams 62nd), Marcus Joseph. Leslie "Tiger" Fitzpatrick scored a brace against his old club to lead his new team, Ma Pau to a 3-1 victory. 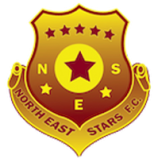 DIRECTV North East Stars took the lead after 20 minutes with Anthony Wolfe scoring against the side he began the season with. Fitzpatrick put Michael McComie's team level on 40 minutes before Rennie Britto put Ma Pau in front in the 64th minute. Fitzpatrick went on to score his second of the match, and his third goal in two games, in the 75th minute. The result left Ma Pau in 4th place with one game left to play, while North East Stars remain in 7th. "Every player wants to score against their old team, so I wasn't surprised that Tiger scored" said North East C.E.O. Brent Sancho. " But it always hurts when your former team mate scores against you. I have to say well done to Tiger, as he's now scored three goals in two games, and I'm pleased that he has settled in well at Ma Pau. Tiger's a talented player and it was great to steal him back from the MLS. Mike (McComie) is obviously giving Tiger a more attacking role whereas he played much deeper at North East"
"Its really difficult at this stage of the season to get players to focus on the league when they have a big cup final in two weeks time" said Stars Operations Director, Kevin Harrison. "You see it in all the major leagues across Europe. A team will be playing well and then drop off when they reach a final." Harrison went on to say that the whole club is excited about the F.A. 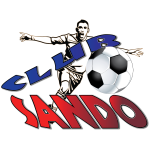 Trophy match against Jabloteh on 4th February. "We are putting together a supporters package to encourage people to travel down from the North East. We haven't yet finalised details, but we're hoping to offer a match ticket, bus ticket and supporters T Shirt, plus other giveaways such as bandannas and noisemakers....and maybe even a Carib or two, for under $100. Our sponsors have really bought into the excitement, with DIRECTV organising a couple of buses for their employees." Harrison said that other sponsors such as Carib will be helping with the supporters package and hope to encourage their employees to support The Stars. "Its gonna be a party" said Harrison "And it will be great to create an atmosphere that we can carry over into next season."